Have access to a number of learning tools such as inspection tips and technique illustrations, a library of home inspection books and videos, the industry’s largest message board, InterNACHI’s “what’s new” publication of recent inspection news, and the InterNACHI University. 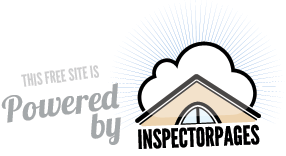 If you need a home inspection performed, don’t settle for anything less than a InterNACHI-certified home inspector. Contact me now to schedule your inspection.